Feeling easily bored, yet helpless to keep your mind on tasks you need to complete. Distracted by unimportant sights and sounds, your mind drives you from one thought or activity to the next. Perhaps you are so wrapped up in a collage of thoughts and images that you don't notice when someone speaks to you. But there is help...and hope. In the last decade, scientists have learned much about the course of the disorder and are now able to identify and treat children, adolescents, and adults who have it. A variety of adhd medications, behavior-changing therapies, and educational options are already available to help people with ADHD focus their attention, build self-esteem, and function in new ways. Health professionals stress that since no one knows what causes ADHD, it doesn't help parents to look backward to search for possible reasons. There are too many possibilities to pin down the cause with certainty. 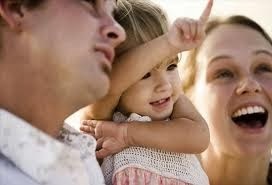 It is far more important for the family to move forward in finding ways to get the right help. Using one such technique, NIMH scientists demonstrated a link between a person's ability to pay continued attention and the level of activity in the brain. Adult subjects were asked to learn a list of words. As they did, scientists used a PET (positron emission tomography) scanner to observe the brain at work. The researchers measured the level of glucose used by the areas of the brain that inhibit impulses and control attention. Glucose is the brain's main source of energy, so measuring how much is used is a good indicator of the brain's activity level. The investigators found important differences between people who have ADHD and those who don't. In people with ADHD, the brain areas that control attention used less glucose, indicating that they were less active. It appears from this research that a lower level of activity in some parts of the brain may cause inattention. The next step will be to research WHY there is less activity in these areas of the brain. Scientists at NIMH hope to compare the use of glucose and the activity level in mild and severe cases of ADHD. They will also try to discover why some ADHD medications work better than others, and if the more effective ADHD medications increase activity in certain parts of the brain. Research shows that a mother's use of cigarettes, alcohol, or other drugs during pregnancy may have damaging effects on the unborn child. These substances may be dangerous to the fetus's developing brain. It appears that alcohol and the nicotine in cigarettes may distort developing nerve cells. For example, heavy alcohol use during pregnancy has been linked to fetal alcohol syndrome (FAS), a condition that can lead to low birth weight, intellectual impairment, and certain physical defects. Many children born with FAS show much the same hyperactivity, inattention, and impulsivity as children with ADHD. ADHD is not like a broken arm, or strep throat. 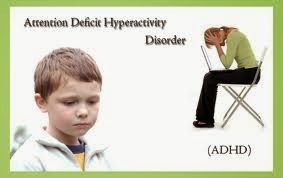 Unlike these two disorders, ADHD does not have clear physical signs that can be seen in an x-ray or a lab test. ADHD can only be identified by looking for certain characteristic behaviors. Scientists have not yet identified a single cause behind all the different patterns of behavior--and they may never find just one. Rather, someday scientists may find that ADHD is actually an umbrella term for several slightly different disorders.
. People who are inattentive have a hard time keeping their mind on any one thing and may get bored with a task after only a few minutes. They may give effortless, automatic attention to activities and things they enjoy. But focusing deliberate, conscious attention to organizing and completing a task or learning something new is difficult. People who are hyperactive always seem to be in motion. They can't sit still. Like Mark, they may dash around or talk incessantly. Sitting still through a lesson can be an impossible task. Hyperactive children squirm in their seat or roam around the room. Or they might wiggle their feet, touch everything, or noisily tap their pencil. Hyperactive teens and adults may feel intensely restless. They may be fidgety or, like Henry, they may try to do several things at once, bouncing around from one activity to the next. People who are overly impulsive seem unable to curb their immediate reactions or think before they act. As a result, like Lisa, they may blurt out inappropriate comments. Or like Mark, they may run into the street without looking. Their impulsivity may make it hard for them to wait for things they want or to take their turn in games. They may grab a toy from another child or hit when they're upset. At some point, many children with ADHD--mostly younger children and boys--experience other emotional disorders. About one-fourth feel anxious. They feel tremendous worry, tension, or uneasiness, even when there's nothing to fear. Because the feelings are scarier, stronger, and more frequent than normal fears, they can affect the child's thinking and behavior. Others experience depression. Depression goes beyond ordinary sadness--people may feel so "down" that they feel hopeless and unable to deal with everyday tasks. Depression can disrupt sleep, appetite, and the ability to think. Tyrone and Mimi are two examples of how classroom conditions can elicit behaviors that look like ADHD. For months, Tyrone shouted answers out in class, then became disruptive when the teacher ignored him. He certainly seemed hyperactive and impulsive. Finally, after observing Tyrone in other situations, his teacher realized he just wanted approval for knowing the right answer. She began to seek opportunities to call on him and praise him. Gradually, Tyrone became calmer and more cooperative. How Is Attention Deficit Hyperactivity Disorder (ADHD) Identified and Diagnosed? Many parents see signs of an attention deficit in toddlers long before the child enters school. But because children mature at different rates, and are very different in personality, temperament, and energy level, it's useful to get an expert's opinion of whether the behaviors are appropriate for the child's age. Parents can ask their pediatrician, or a child psychologist or psychiatrist to assess whether their toddler has an attention disorder or is just immature, has hyperactivity or is just exuberant. In many cases, the teacher is the first to recognize that a child is hyperactive or inattentive and may consult with the school psychologist. Because teachers work with many children, they come to know how "average" children behave in learning situations that require attention and self control. School-age and preschool children are often evaluated by a school psychologist or a team made up of the school psychologist and other specialists. But if the school doesn't believe the student has a problem, or if the family wants another opinion, a family may need to see a specialist in private practice. In such cases, who can the family turn to? What kinds of specialists do they need? For decades, medications have been used to treat the symptoms of ADHD. Three ADHD medications in the class of drugs known as stimulants seem to be the most effective in both children and adults. These are methylphenidate (Ritalin), dextroamphetamine (Dexedrine or Dextrostat), and pemoline (Cylert). For many people, these medicines dramatically reduce their hyperactivity and improve their ability to focus, work, and learn. The medications may also improve physical coordination, such as handwriting and ability in sports. Recent research by NIMH suggests that these medicines may also help children with an accompanying conduct disorder to control their impulsive, destructive behaviors. For lasting improvement, numerous clinicians recommend that ADHD medications should be used along with treatments that aid in these other areas. There are no quick cures. Many experts believe that the most significant, long-lasting gains appear when medication is combined with behavioral therapy, emotional counseling, and practical support. Some studies suggest that the combination of medicine and therapy may be more effective than drugs alone. NIMH is conducting a large study to check this. 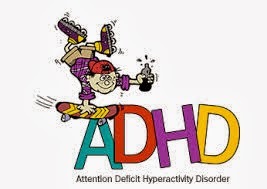 Children on ADHD medications should have regular checkups. Parents should also talk regularly with the child's teachers and doctor about how the child is doing. This is especially important when a medication is first started, re-started, or when the dosage is changed. Myth:Stimulants can lead to drug addiction later in life. Fact:Stimulants help many children focus and be more successful at school, home, and play. Avoiding negative experiences now may actually help prevent addictions and other emotional problems later. Myth:Responding well to a stimulant drug proves a person has ADHD. 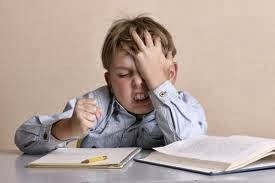 Fact:Stimulants allow many people to focus and pay better attention, whether or not they have ADHD. The improvement is just more noticeable in people with ADHD. Myth:Medication should be stopped when the child reaches adolescence. Fact:Not so! About 80 percent of those who needed medication as children still need it as teenagers. Fifty percent need medication as adults. Cognitive-behavioral therapy helps people work on immediate issues. Rather than helping people understand their feelings and actions, it supports them directly in changing their behavior. The support might be practical assistance. Or the support might be to encourage new behaviors by giving praise or rewards each time the person acts in the desired way. Social skills training can also help children learn new behaviors. In social skills training, the therapist discusses and models appropriate behaviors like waiting for a turn, sharing toys, asking for help, or responding to teasing, then gives children a chance to practice. For example, a child might learn to "read" other people's facial expression and tone of voice, in order to respond more appropriately. Social skills training helped learn to join in group activities, make appropriate comments, and ask for help. A child might learn to see how his behavior affects others and develop new ways to respond when angry or pushed. Even though most people don't outgrow ADHD, people do learn to adapt and live fulfilling lives. With effective combinations of medicine, new skills, and emotional support, people with ADHD can develop ways to control their attention and minimize their disruptive behaviors. All people with ADHD have natural talents and abilities that they can draw on to create fine lives and careers for themselves. In fact, many people with ADHD even feel that their patterns of behavior give them unique, often unrecognized, advantages. People with ADHD tend to be outgoing and ready for action. Because of their drive for excitement and stimulation, many become successful in business, sports, construction, and public speaking. Because of their ability to think about many things at once, many have won acclaim as artists and inventors. Many choose work that gives them freedom to move around and release excess energy. But some find ways to be effective in quieter, more sedentary careers. Others who own their own business find it useful to hire support staff to provide day-to-day management. What Are the Educational Options of ADHD? Children with ADHD often need some special accommodations to help them learn. For example, the teacher may seat the child in an area with few distractions, provide an area where the child can move around and release excess energy, or establish a clearly posted system of rules and reward appropriate behavior. Sometimes just keeping a card or a picture on the desk can serve as a visual reminder to use the right school behavior, like raising a hand instead of shouting out, or staying in a seat instead of wandering around the room. Giving a child extra time on tests can make the difference between passing and failing, and gives them a fairer chance to show what they're learned. Reviewing instructions or writing assignments on the board, and even listing the books and materials they will need for the task, may make it possible for disorganized, inattentive children to complete the work. Students with ADHD often need to learn techniques for monitoring and controlling their own attention and behavior. The teacher frequently stops to ask students to notice whether they are paying attention to the lesson or if they are thinking about something else. The students record their answer on a chart. As students become more consciously aware of their attention, they begin to see progress and feel good about staying better focused. As a result, she became more productive and the quality of her work improved.